One of the positive and ongoing traditions continued at last week’s Dublin Unified School District (DUSD) Board of Trustees meeting. Generally, the second bi-monthly meeting devotes an early agenda item to spotlight one of the ten school sites in the district. 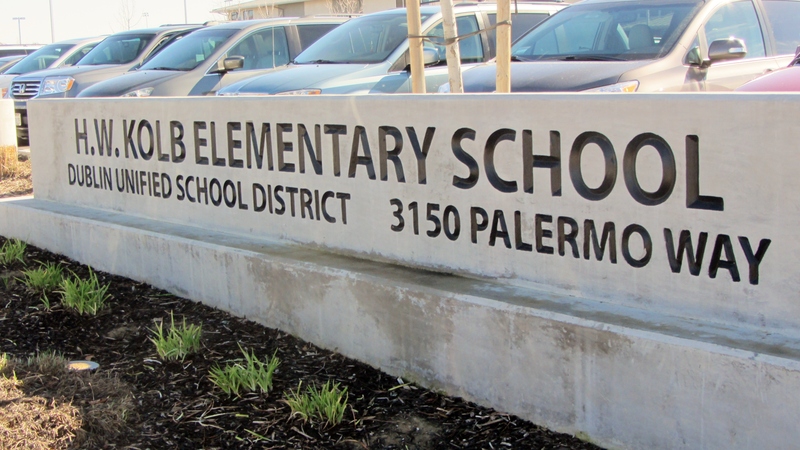 On Tuesday, the slot was devoted to Kolb Elementary School. Kolb is the newest school site in Dublin and serves just over 1,000 Kindergarten through fifth grade students. The school opened in the fall of 2012 and is led by Principal Ms. Nicole Williams Browning. The site is located on a large parcel adjacent to Fallon Road and right next to the Fallon Sports Park. At the Trustee meeting, there were presentations to students in the category of Integrity in Action. Additionally, the Kindergarten teaching team was commended for their work in fostering a Professional Learning Community (PLC). Finally, as with each spotlight, a Certificated and Classified employee is recognized. OneDublin.org recently had the opportunity to sit down with the Kolb Certificated designee, Trisha Hahn. 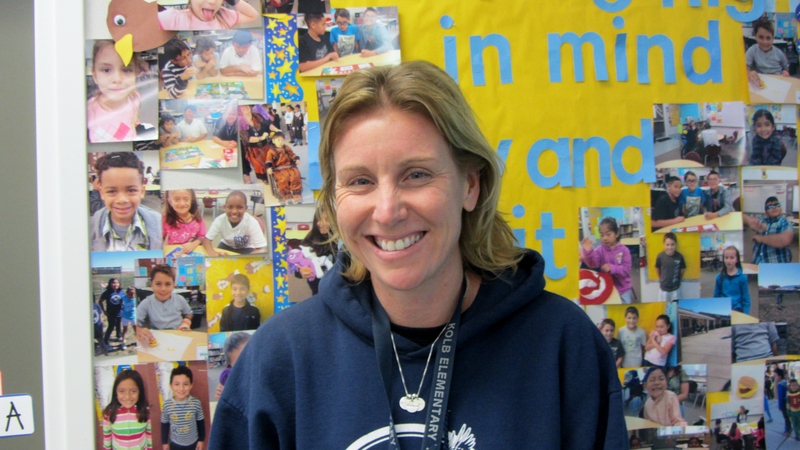 Ms. Hahn is a Resource Teacher and Intervention Specialist. Trisha attained a B.A. in Liberal Studies with an option in Special Education from California State University, Hayward (now East Bay). She also received a Multiple Subject Credential in Mild/Moderate Special Education. Ms. Hahn was also an athlete as she played for the Women’s basketball team. She has been employed by DUSD for ten years now and had worked primary at Dougherty Elementary School. However, she also managed to split some of her work days between Murray & Green Elementary and Fallon while it functioned as a K-8th Grade school. When Kolb opened in 2012, she made the fully dedicated move to this site. OneDublin.org: As a Resource and Intervention Specialist, have you experienced any significant differences in your daily role vs. when you first began with the district? Please explain. OneDublin.org: Kolb Elementary is a comparatively large elementary site. Help us to understand your in-class and also your supervisory responsibilities. OneDublin.org: Please explain your reaction to being named as a site recognition recipient. And, what did it mean to have many of your colleagues present? OneDublin.org: Please describe the profile of the student that you routinely encounter. Make a distinction between English Language Learners, Developmentally Disabled or Behavior-centric. OneDublin.org: While this is a great honor, is there anything else that you would like to add? In the Classified category, Ms. Sherri Ornelas was honored. Ms. Ornelas has served as a Food Service Worker in the district for many years and at several sites, including Frederiksen Elementary School. When the opportunity arose to initiate meal operations at a brand new school, she seemed to be the perfect fit. 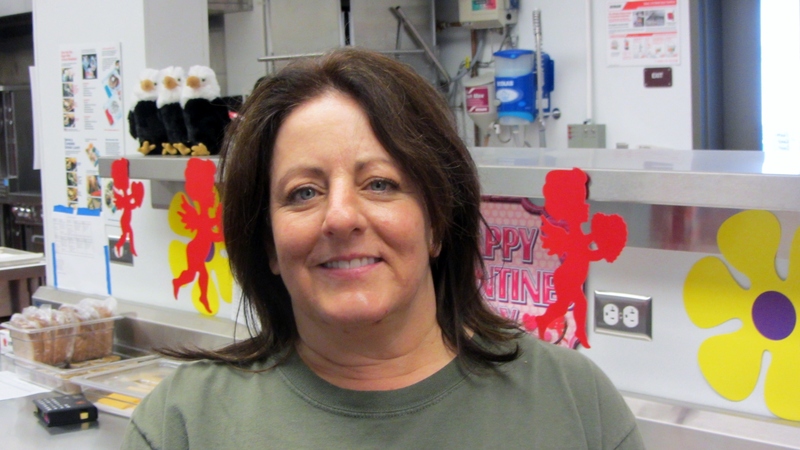 Thanks to Sherri and her colleagues, hundreds of Kolb students are nourished every day. OneDublin.org would like to commend both Trisha and Sherri on their respective recognitions. They are making a positive difference at Kolb Elementary.